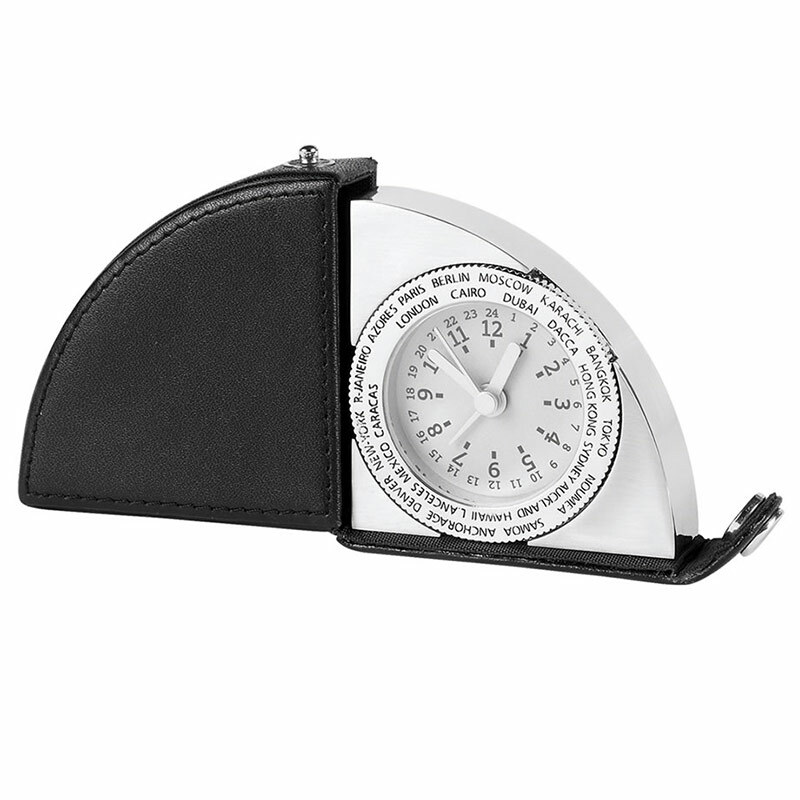 These sumptuous little travel clocks are offered at a low price for such a quality product. They feature a PU leather casing in quarter circle segment shape with a matching silver plated metal clock holder piece that pivots to fold smoothly into and out of the case. The leather case includes a push tab fastener to keep the clock secure during transit. Perfect as corporate gifts or luxury promotional items, these world city travel clocks are also offered with bulk order discounts (see price matrix, above) and low, fixed price UK delivery.